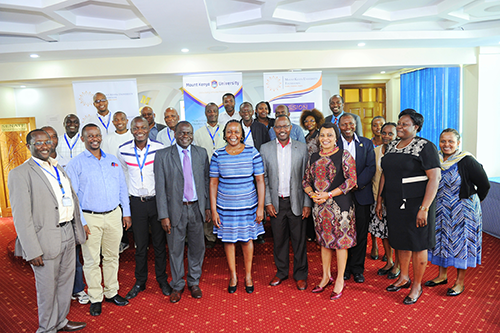 MKU don scoops top position in National Innovation Award. Mount Kenya University (MKU) don, Donatus Njoroge, has emerged the winner in the National Innovation Award 2018/2019 a competition organised by the Kenya National Innovation Agency in line with the Government BIG 4 Agenda. The innovation award under the Agriculture, Food Security and Technologies category attracted Kshs. 800,000 to be channeled through the University. The innovation dubbed ‘Molepse Bio-resources’ a novel bio-pesticide to manage post-harvest losses in grains also won the East Africa Post-Harvest Technologies -2017 award organized by The United States Agency for International Development (USAID). Njoroge was also recognized among top 50 innovators in Africa during the Africa innovation summit that took place in Rwanda in 2018. The project was also presented at ‘The Next Einsteins Forum’, an international conference held in Rwanda in the same year. 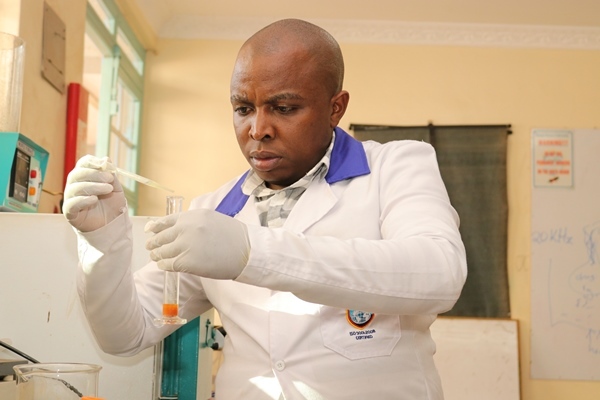 Njoroge’s quest for innovation has placed him on a global platform where he has been named as a semifinalist for the Global Innovation through Science and Technology (Gist Tech-1) by the United States Department of state and the American Association for the Advancement of Science (AAAS), an ongoing competition this year. A candid interview with the young innovator revealed that he hopes to nurture vibrant ecosystems for student innovators under the MKU incubation program and share his views on the innovation spirit that is stealthily fueling its way across the continent. “Africa has no shortage of good ideas to develop the continent, I applaud the University management for Investing in African ingenuity” he says. 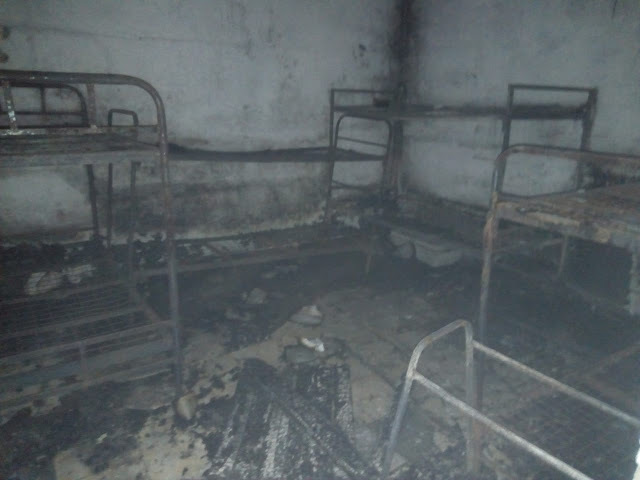 48 Students at Thika High School for the Blind lose everything as fire guts down 2 dormitories. 48 students from Thika High School for the Blind have lost all their belongings after an inferno gutted down two dormitories on Monday night. The fire that was reported at around 8pm broke out when the students were in their respective classrooms for the evening preps. 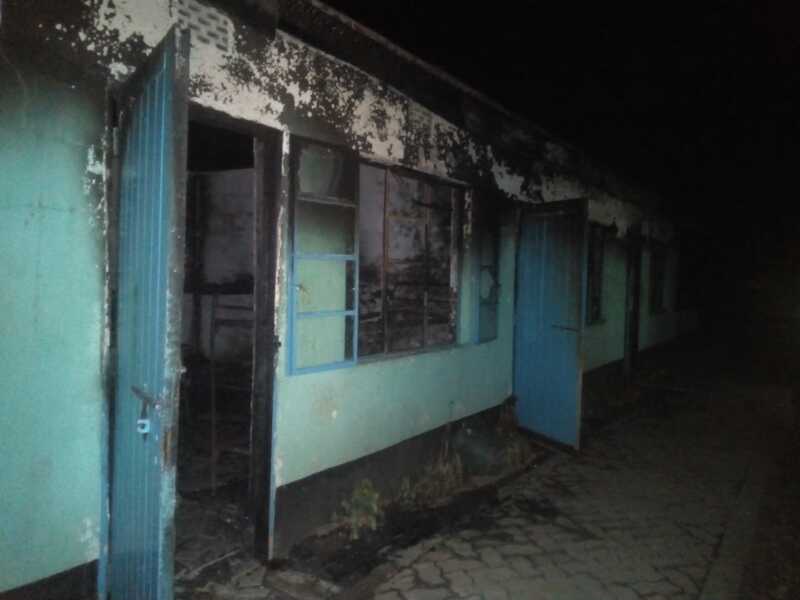 According to those who responded to the fire incidents, an impromptu roll call conducted after the Thika Fire Service put off the flames, none of the students was injured as they were all away from the dormitories. 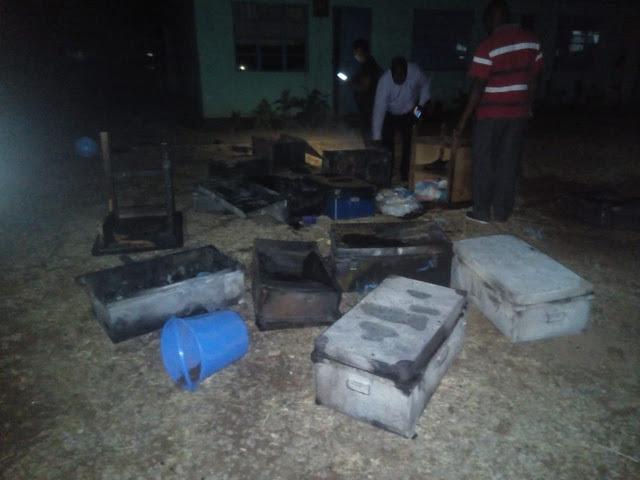 The course of the fire is yet to be established but some sources suspect that it might have been ignited by an electric fault. Each of the two dorms holds 24 students. By the time we went to press, the school administration was working out ways to relocate the affected students to other rooms as they chatted the way forward. 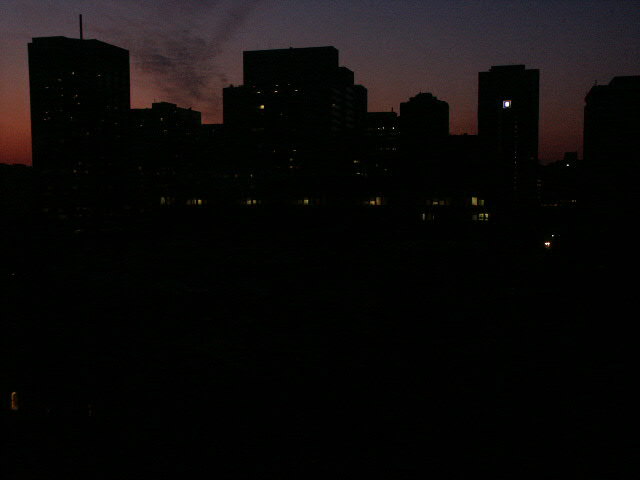 Later in the night, a team from the area MP Eng. 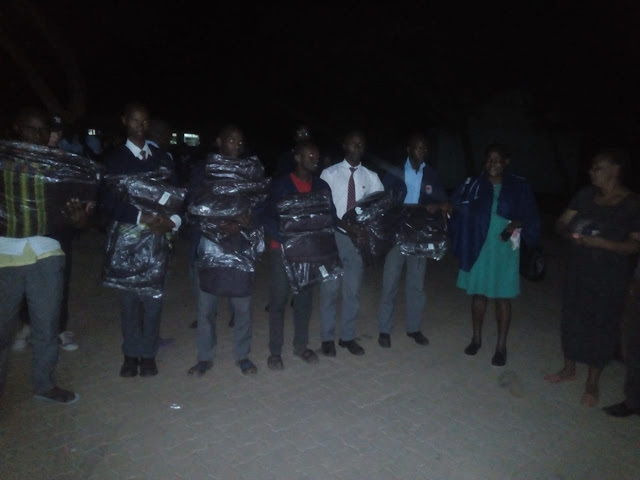 Patrick Wainaina visited the school and donated beddings to the affected students. DATE: Sunday 24.02.2019 TIME: 9.00 A.M. – 5.00 P.M.
Westgate, Lower Kabete Rd, Peponi Rd & adjacent customers. DATE: Tuesday 26.02.2019 TIME: 9.00 A.M. – 5.00 P.M.
Stn, Kiambu Rd & adjacent customers. DATE: Wednesday 27.02.2019 TIME: 9.00 A.M. – 5.00 P.M.
Kaptagat Rd & adjacent customers. DATE: Thursday 28.02.2019 TIME: 9.00 A.M. – 5.00 P.M.
Woodvale Groove & adjacent customers. DATE: Monday 25.02.2019 TIME: 9.00 A.M. – 5.00 P.M. Farmers, Ngong Veg, Olooloitikosh, Kipeto & adjacent customers. Rd, Kaputei Gardens, Suguta Rd & adjacent customers. Langata, Botanical Gardens, Kilimani Junior Academy & adjacent customers. Umoja 2 Mkt, Peter Kibukosya Sch, Timber Day Care & adjacent customers. Umoja 1 H, Umoja 1 J & adjacent customers. Mutha Mkt, Mutomo Mkt, UAE Mkt, Kyatune Mkt & adjacent customers. DATE: Saturday 23.02.2019 TIME: 9.00 A.M. – 5.00 P.M. DATE: Friday 01.03.2019 TIME: 9.00 A.M. – 5.00 P.M.
Wilfey, Subati, Shrine, Suka Dairy, Kirengero & adjacent customers. DATE: Monday 25.02.2019 TIME: 7.00 A.M. – 5.00 P.M. DATE: Tuesday 26.02.2019 TIME: 8.30 A.M. – 5.00 P.M.
Aberdare Golf, Manera, Posterity Homes & adjacent customers. DATE: Wednesday 27.02.2019 TIME: 8.30 A.M. – 5.00 P.M. DATE: Thursday 28.02.2019 TIME: 8.30 A.M. – 5.00 P.M. DATE: Tuesday 26.02.2019 TIME: 8.00 A.M. – 5.00 P.M. DATE: Thursday 28.02.2019 TIME: 8.00 A.M. – 5.00 P.M.
Barwesa Center & Sec Sch, Kampinyasi & adjacent customers. DATE: Sunday 24.02.2019 TIME: 7.00 A.M. – 5.00 P.M. DATE: Sunday 24.02.2019 TIME: 8.00 A.M. – 4.00 P.M. DATE: Sunday 24.02.2019 TIME: 8.00 A.M. – 9.00 A.M. DATE: Sunday 24.02.2019 TIME: 4.00 P.M. – 5.00 P.M.
Area, Whole of Chepkoilel, Whole of Kapsoya Est, Iten & adjacent customers. DATE: Tuesday 26.02.2019 TIME: 9.00 A.M – 5.00 P.M. DATE: Wednesday 27.02.2019 TIME: 8.00 A.M. – 5.00 P.M. DATE: Sunday 24.02.2019 TIME: 8.00 A.M. – 5.00 P.M.
Kobujoi Mkt, Kimaren & adjacent customers. Angwan Mkt & adjacent customers. Yenga Dam, Got Ondima & adjacent customers. Randago Mkt & adjacent customers. DATE: Tuesday 26.02.2019 TIME: 8.00 A.M. – 6.00 P.M.
Maseno Vet Farm, Bishop Olang & adjacent customers. Dispensary, Kigama Sch & Mkt, Kisangula Sec Sch & adjacent customers. Sch, Governor’s Offices & adjacent customers. DATE: Wednesday 27.02.2019 TIME: 8.00 A.M. – 4.00 P.M.
Bumala Mkt, Funyula Mkt, Burinda, Bubin & adjacent customers. DATE: Thursday 28.02.2019 TIME: 8.00 A.M. – 4.00 P.M. DATE: Saturday 23.02.2019 TIME: 8.30 A.M. – 6.00 P.M. DATE: Sunday 24.02.2019 TIME: 7.00 A.M. – 6.00 P.M.
Magenche, Nyagancha, Nyangusu, Ogembo & adjacent customers. DATE: Monday 25.02.2019 TIME: 8.30 A.M. – 6.00 P.M. DATE: Wednesday 27.02.2019 TIME: 8.30 A.M. – 6.00 P.M.
Ekiendege, Ngeri, Kiabusura & adjacent customers. DATE: Wednesday 27.02.2019 TIME: 8.00 P.M. – 9.30 P.M.
Magenche, Ayora, Kenyenya, Kiru & adjacent customers. DATE: Thursday 28.02.2019 TIME: 8.00 A.M. – 6.00 P.M.
Suguta, Magenche, Nyagancha, Nyangusu & adjacent customers. DATE: Thursday 28.02.2019 TIME: 8.30 A.M. – 6.00 P.M. DATE: Sunday 24.02.2019 TIME: 8.00 A.M. – 6.00 P.M.
Chamuwatu Mkt & adjacent customers. Tunga, Mwachi Sec & adjacent customers. Ngandu, Gatiko, Ngai-ini, Rititi, Kiamachimbi & adjacent customers. DATE: Thursday 28.02.2019 TIME: 8.00 A.M – 5.00 P.M.
Kiangengi, Giakaibei & adjacent customers. DATE: Friday 01.03.2019 TIME: 8.00 A.M. – 5.00 P.M. DATE: Monday 25.02.2019 TIME: 8.30 A.M. – 5.30 P.M.
Mkt, Kamweti, Kirima Dairy & adjacent customers. Mkt, Gatwiri Mkt, Gikuru, Kakindu & adjacent customers. DATE: Monday 25.02.2019 TIME: 8.00 A.M. – 5.00 P.M.
Bakeries, Maua Methodist Hosp, Athi, Amwamba & adjacent customers. Delmonte Dams 1, 2, 3 & 4 & adjacent customers. Gathiriga Mkt, Githiururi & adjacent customers. C/Fact, Turitu, Part of Thindigua & adjacent customers. DATE: Sunday 24.02.2019 TIME: 9.00 A.M. – 1.00 P.M.
Moi Ineternational Airport, China Wu Yi & adjacent customers. Mfereji Village, Fulugani, Bamariz Masjid, Mabandani & adjacent customers. Enclave, Visa Oshwal Academy & adjacent customers. Mkanda Dam, Kikoneni & adjacent customers. Kaydee Quarry, Jimba Applicants, Boyani, Simakeni & adjacent customers. Chasimba Repeater Stn, Mbomboni Pri Sch & adjacent customers. Tarmal Industries & adjacent customers. Kitchen Kings & adjacent customers. Hola Town, Masalani, Bura, Bura East, Wenje, Mnazini & adjacent customers.